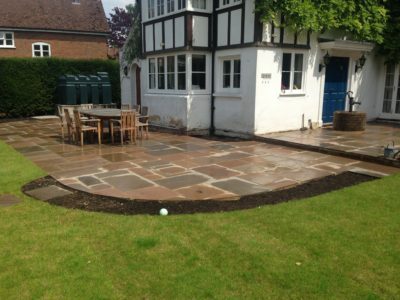 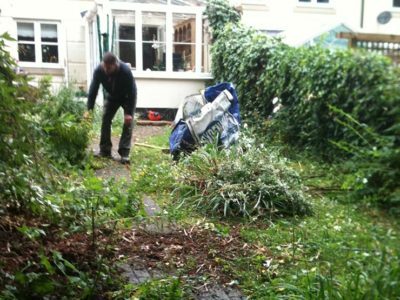 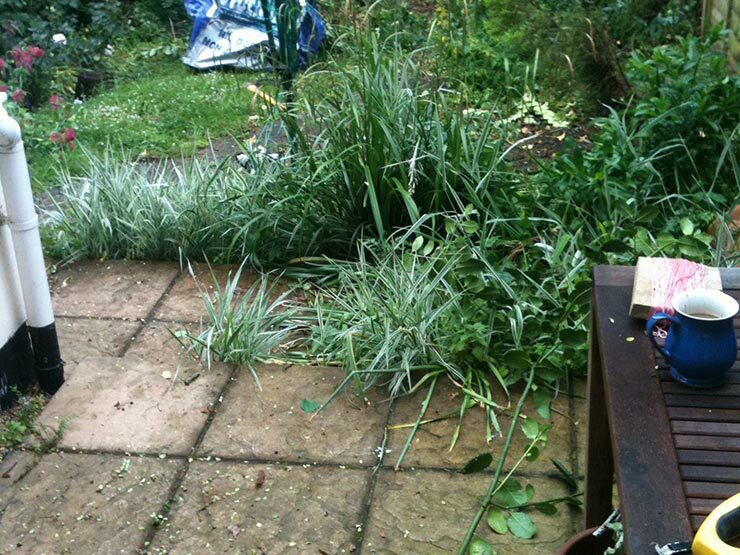 A complete garden transformation. 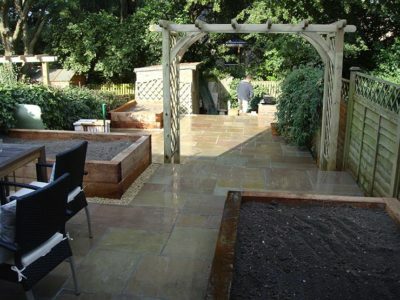 Again this garden was on a slight slope so we had to terrace it using small retaining walls to create three large level areas. 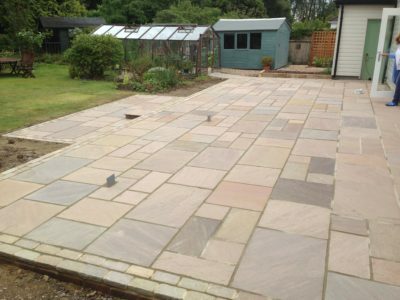 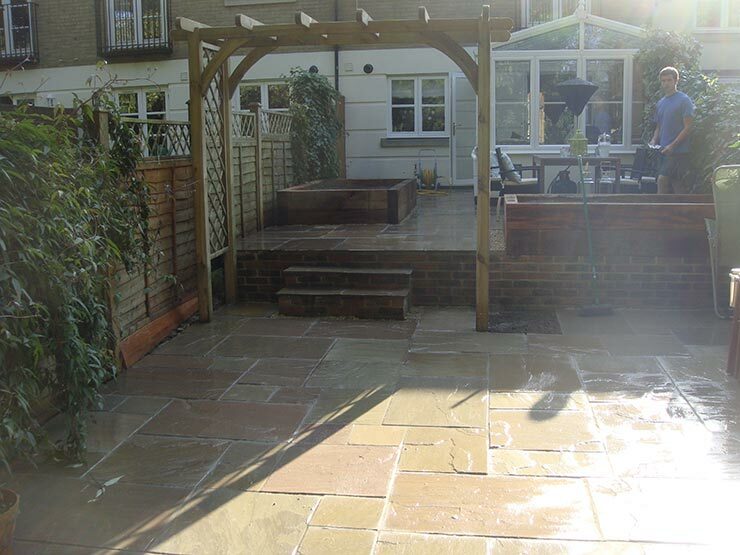 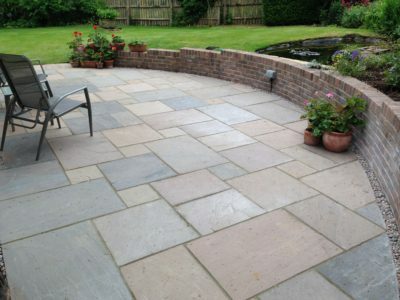 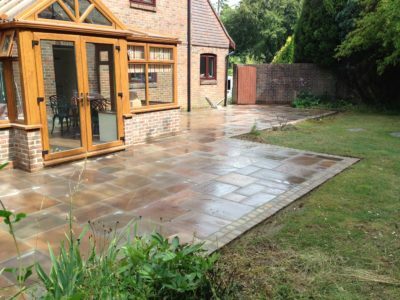 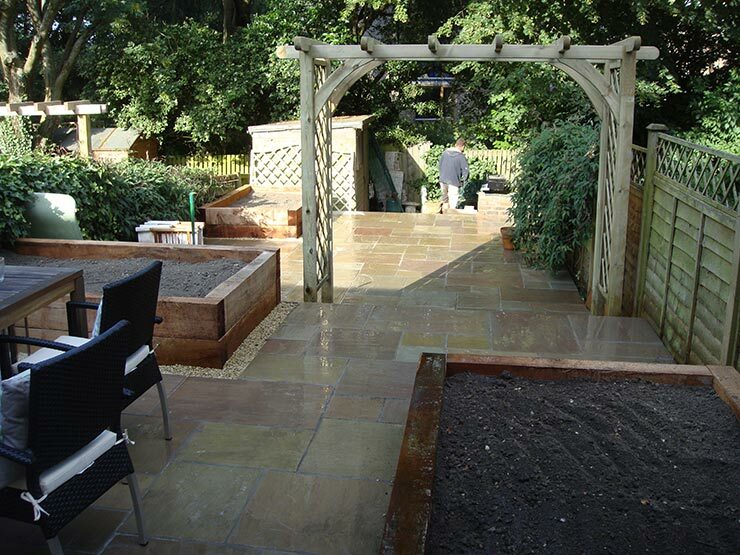 We used sandstone for the patio.